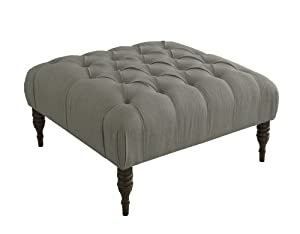 This cocktail ottoman is hand tufted and sIt's atop four wooden legs. It's upholstered in delicate linen. It's unique style adds as an elegant centerpiece to any room. Handcrafted in the USA.